Ms. Jones and Ms. Hernández are planning for their school year. 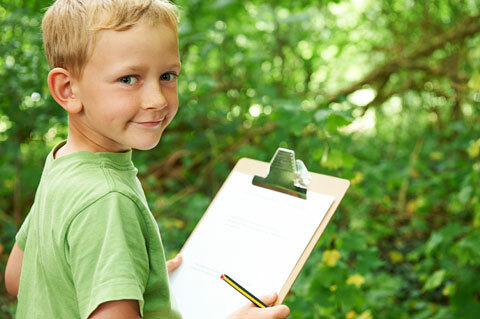 One of their goals is to engage the children in hands-on investigations of nature. Their school is next to a park, and they plan to use that space to extend their learning outdoors. They decide the seasonal changes in the park trees could be an excellent focus for hands-on learning throughout the year. The classroom’s group area has a great view of a maple tree. It is autumn, and the children have commented about the tree’s changing leaves. The children and teachers have talked about how the tree’s leaves seem to be painted with colors. 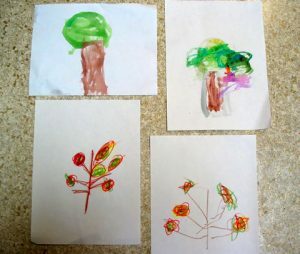 The teachers realize they could capitalize on this emerging interest by bringing in paintings of trees to encourage the children to talk about the different ways artists represent trees. During morning circle, Ms. Jones reminds the children of their conversations about the maple tree. She points out her display of posters on the wall next to the window with a view of the maple tree. She calls this display “our classroom gallery.” Several posters are prints of paintings with trees. The first poster is a painting by Matisse, which is a black-and-white ink drawing of a tree. 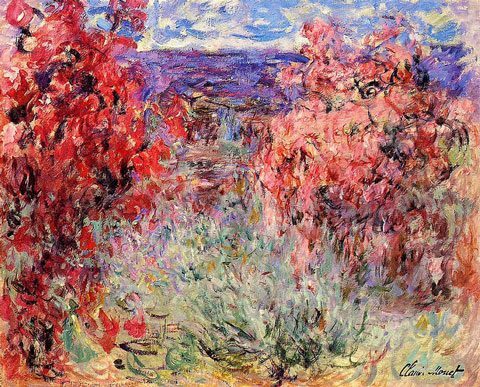 The second poster is an impressionist painting by Monet of a tree with small, blurry brushstrokes. The third poster is a bright and colorful tree painted by Van Gogh. Ms. Jones and Ms. Hernández have chosen posters to show the different ways artists represent trees. Tell me about this painting. What do you see? Tell me about the colors you see. Are they light or dark? Tell me about the lines you see. Are they curvy or straight? Tell me about the shapes you see. Are they round or angled? Tell me how you feel when you look at this picture. Tell me about the difference between the way the tree outside looks and the trees in the painting. Do they look exactly the same or different? Ms. Jones tries to help the children stay on topic. For example, when a child says “Trees in the park” in response to the posters, Ms. Jones says, “Oh, do these trees in the painting remind you of the trees you saw in the park? Can you point to the part of the poster that reminds you of those trees?” She allows the each child to come up to the posters and point to them so he can show which part of the image he is referring to in his comment. cTo reinforce staying on topic, the teachers write the children’s specific comments about the paintings on post-it notes and then ask them to stick the notes on the sections of the paintings they were commenting on. This provides a visual reminder that they are talking about the paintings. The teachers use the inquiry into trees throughout the year as a way to monitor the children’s progress toward IELDS benchmarks. During this lesson, the teachers transcribe and date the comments children make about the posters as oral language samples in their assessment portfolios. They note the children’s comments during the circle time conversation as well as during the art activity. The teachers can then compare the children’s comments from the fall to spring to see whether they expressed increasingly complex responses. Ms. Jones sets up the easel by the window with a view of the maple tree so the children can continue to add to the gallery by creating their own drawings during choice time. Over the following weeks, the teachers set up the easel with markers, watercolor paints, and other art media. They invite children to draw the maple tree and other trees from memory. The teachers use language from the circle time conversations to encourage children to talk about the posters of the paintings and the drawings they are creating. They also keep samples of the children’s drawings throughout the year to see if the children include greater detail and demonstrate better use of drawing materials as the year progresses. This lesson was written in the context of Ms. Jones’s and Ms. Hernandez’s classroom. We now offer some general suggestions of adaptations you can use in your classroom. When the children make off-topic comments, Ms. Jones gently asks other questions to encourage them to talk about the images on the art posters. Teacher: Can you tell me more about what you see in this painting? Child: I go to the park on the bus! Teacher: What do you see in the painting that makes you think about the park? Ms. Jones also makes a point to talk with the younger children about the images on the art posters when they are working at the art table during small group playtimes so she can provide individual attention to them without taking up more time in the large group discussion and losing the attention of the group. Three children are dual language learners whose heritage language is Spanish. They started school with little understanding of English. Ms. Hernández shares Spanish words when they are learning vocabulary related to trees, colors, lines, and shapes. She encourages the Spanish-speaking children to respond to the paintings in both English and Spanish. She writes down their comments in whatever language they choose to use. She also encourages these children to help their non-Spanish speaking peers say some Spanish words. Child has cerebral palsy (CP) resulting in significant motor delays, especially on the left side of her body. She uses a wheelchair for mobility. The teachers help the child position her wheelchair to the left of the posters so she can see the images and safely roll her wheelchair up to them to point at the posters and put her post-it note on the posters. The teachers arrange the children in a U shape rather than a full circle so there is space to maneuver the wheelchair in the front of the group area. Before the large group discussion, the teachers have programmed the child’s assistive communication device with four words that refer to the images in the art posters. They encourage the child to use his device to participate in the conversation. They make bridging comments to encourage other children to respond to his answers with the AAC. Teacher: Joey said he sees leaves in the pictures. Do you see leaves, too, Ling? Low-tech option: Use a paper with symbols so the child can point to them to communicate his ideas. Some of the children have a hard time waiting their turn to talk about the images and begin to move around on the carpet. When the children become too wiggly to pay attention, the teachers continue the conversation during small group and play time. They use these as opportunities for more in-depth conversations about the artwork. When the children come to the easel to explore the art materials, the teachers talk more about the art posters with them.